Tonight on ITV you’ll be able to watch a documentary that takes you inside Broadmoor Hospital for the mentally ill. The public has never been allowed inside the psychiatric center in it’s 150 year existence. I will be quite revealing to those on the outside to see how life is on the inside. You’ll have a chance to see it for yourself on tonights ITV documentary on Broadmoor. 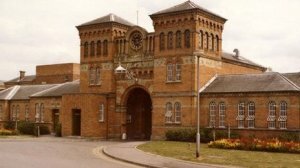 ITV has unveiled a preview of tonight’s (November 5) documentary about Broadmoor Hospital. Broadmoor producers were given unprecedented access for the new two-part series, giving the public a chance to see inside the high-security psychiatric center for the first time in its 150-year history. Often mistaken for a prison, the hospital treats severely mentally disordered patients, many of whom are violent criminals. It has housed such notorious offenders as Charles Bronson, Ronnie Kray, Peter Sutcliffe and Kenneth Erskine. The documentary was filmed over 12 months, following both patients and staff as they go about their day-to-day routines. Broadmoor begins tonight at 9pm on ITV. Broadmoor holds many secrets never revealed to the public in it’s 150 year history. Join ITV for a tour of the psychiatric center tonight and see what no-one has seen before unless they either worked there or were admitted. At one time the Queen decreed that a mental institution should be in every British city… we hope there aren’t that many people who need psychiatric help! Tonight’s documentary should be very interesting indeed.